My azerite gear is focused around stacking Furious Gaze traits with a mix of as many Chaotic Transformation, Revolving Blades. and Thirsting Blades traits as i can get, and then simming to find the best match. Stat wise demon hunters aim for a even amount of Haste, Vers, and Crit while trying to avoid mastery but like most classes in BFA ilvl remain king in most cases. Do you have any upcoming events or plans that will make you unavailable for a long period of time (such as holidays/exams, etc)? None planned at the moment. Core i5-8600k, 16GBs of RAM, GTX1070 and WoW is on an nVME SSD. My latency is around 20-30ms and i have a stable 90 FPS in raids, apart from things like Zul trash! No issues with those raid times. Yes, i've been using Discord/TS for years. 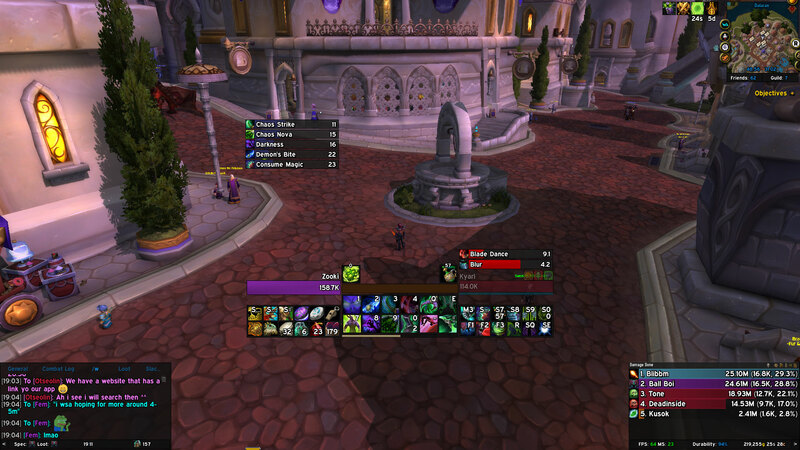 False-TwistingNether - Major roster issues during Antorus so i left when we couldn't raid for two weeks. 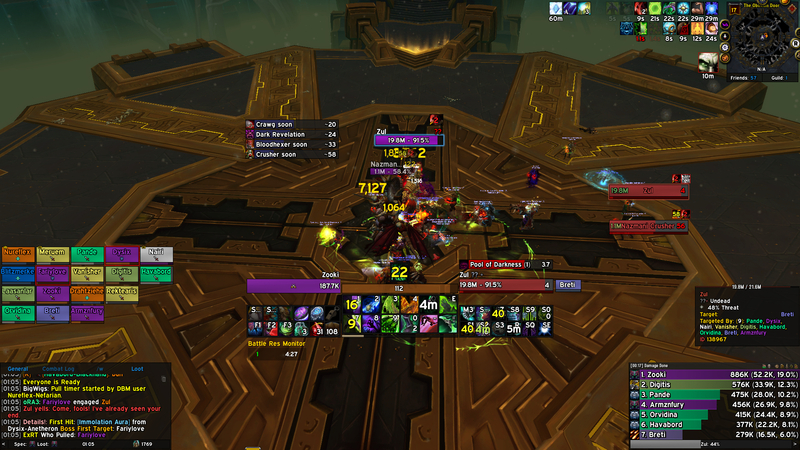 Azerite-TwistingNether - Disbanded after killing ghuun. Endless-Kazzak - Ended my trial with the guild as i didn't feel i fit in with the raid leader and other members within the guild. I have raided and cleared every tier since TBC varying in rankings from 200-500, i have broken down the most recent expansions as not to spam to much info! I use a mixture of class discords/wowhead/icyviens to keep track of any changes to my class. I expect to get efficient, steady and reliable high end progression, with a guild that has a decent atmosphere and won't disband after a tier or two! I know Birthdays/Derpbolt from my time in Oblivion. Just like everyone else, I will make mistakes, but in doing so I learn from them quickly and respond well to any constructive feedback given to me. Raiding is all about efficiency, and when you have a full team of players who's sole aim is to efficiently progress a boss, the boss will die much faster and lots of frustration will be avoided. Many thanks for your application, unfortunately looking at logs and considering our general roster position at present we will have to decline.